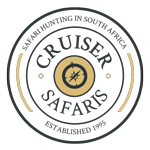 Cruiser Safaris recommended hunting links. "Cruiser Bob's" recommended worldwide hunting outfitters. Having hunted the world round I have come across the "Good, Bad & Ugly" when it comes to hunting destinations and outfitters. The following links take you to web sites that I feel offer the highest in standards and the finest in hunting opportunities. Feel free to contact me about any of them. Zimbabwe, Namibia, Cameroon, Uganda – Africa's Hunting, Fishing and Photographic Specialist.